From the Foreword of Demand Driven Performance – Using Smart Metrics, Dan Eckermann explains how the Demand Driven methods helped turn around an American manufacturing icon. As President and CEO of LeTourneau Technologies, Inc. (LTI) Dan guided the implementation of these tactics across one of the most complicated and volatile environments in manufacturing and supply chain. 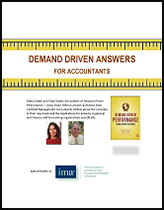 Debra Smith and Chad Smith, the authors of Demand Driven Performance – Using Smart Metrics answer questions from Certified Management Accountants (CMAs) about the concepts in their new book and the implications for industry in general and Finance and Accounting organizations specifically. 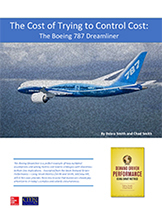 The Boeing Dreamliner is a perfect example of how outdated assumptions and inappropriate metrics can lead to strategies with disastrous bottom line implications. 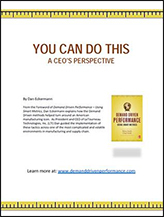 Excerpted from the book Demand Driven Performance – Using Smart Metrics (Smith and Smith, McGraw-Hill, 2013) this case provides three key lessons that businesses should pay attention to in today’s complex and volatile circumstances. Part three of a three-part series on supply chain management explains how to sustain the Demand Driven operating model using smart metrics within cost-centric and flow-centric efficiency strategies. 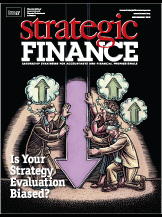 Help your company achieve better flow through your supply chain. 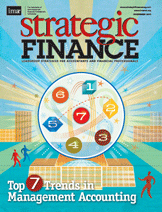 Sections of this article are excerpted from Demand Driven Performance by Debra and Chad Smith (McGraw-Hill Professional, Hardcover, November 2013) with permission from McGraw-Hill Professional. Part two of a three-part series on supply chain management delves into the steps required to adopt a position-and-pull mode of operation and flow-centric efficiency rules that protect and maximize the flow of materials and information. That includes identifying decoupling and control points and protecting them from the effects of variation within an operational model. Embracing flow and its implications for ROI leads to improved visibility and reduced variability within a system. 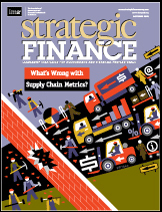 What’s Wrong with Supply Chain Metrics? The idea that ROI is maximized through the minimization of unit cost is a flawed concept at the foundation of most operational decision making and behavior. Challenging this long-held belief can be difficult, but it’s necessary in order to truly drive ROI. Part one of a three-part series defines the problem and outlines how to approach a Deep Truth. Copyright © Demand Driven Performance 2019. All rights reserved.